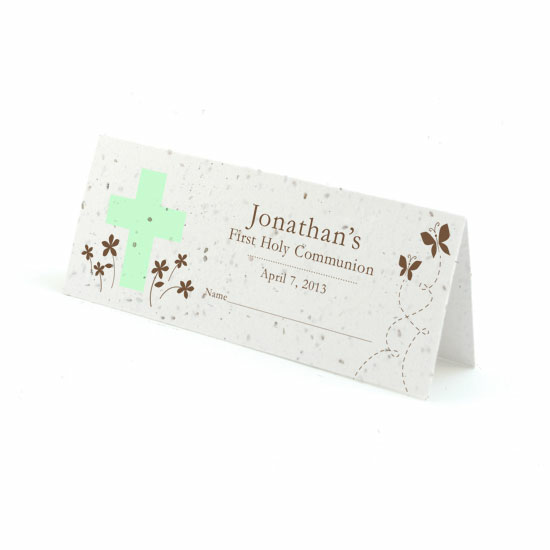 Our Communion place cards may not stop the grass from being greener on the other side of the fence, but at least your side will have more flowers! 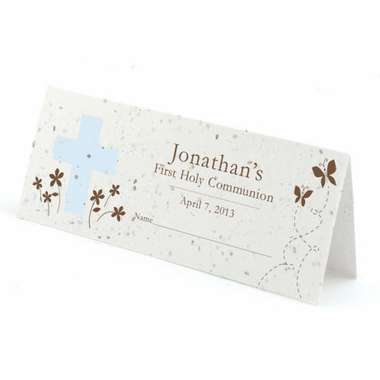 The custom place cards are unique, and will help plant the seed of fond memories for your loved ones. 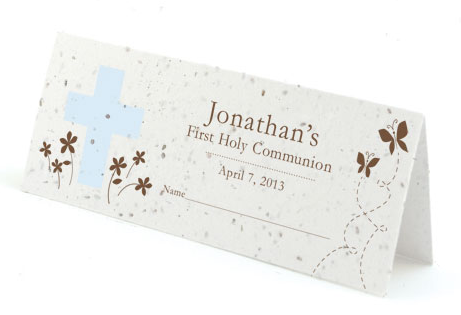 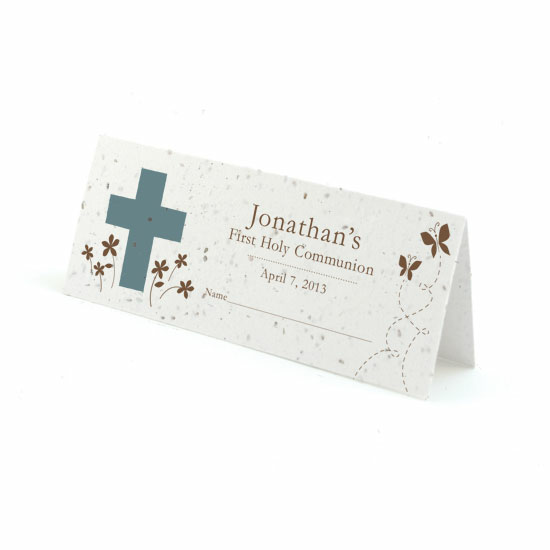 Each place card measures 2" x 5" when folded and is personalized with the date and guest-of-honor's name only- guests names must be added by hand. 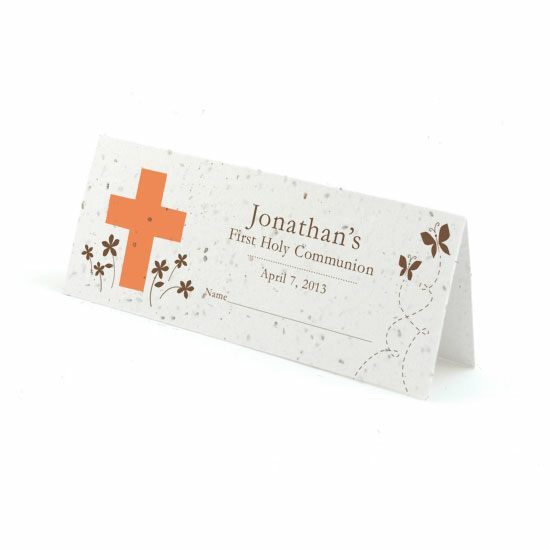 Instructions for planting are included on the back of each place card. The North American wildflower seeds studded in the paper include the following: Bird's Eye, Clarkia, Black Eyed Susan, Sweet Alyssum, English Daisy, Catchfly, and Snap Dragon.